I am talking about the genetically modified foods which we are told to eat and shut up because we cannot feed ourselves. It is now clear that every time we engage our collective energies and focus on non-issues, others use the opportunity to put into place nefarious schemes that threaten our very existence. Unbeknown to many Kenyans, we now have as part of our daily diets foods that have never been eaten by anyone else since the world was created. We also have a law that criminalizes anyone who dares to grow seeds that are not from multinational biotech companies. I am talking about the genetically modified foods which we are told to eat and shut up because we cannot feed ourselves. Already, an elaborate mechanism has been put in place so that anyone with opposing views on the health and safety implications of these foods is seen as a malicious fiend who is unable to empathize with hungry people who need any food to stay alive. Before you agree with the lot, please consider the following facts. One is that in the cables published by the online whistle-blowing outlet, WikiLeaks, we learn that the US deployed its envoys in Kenya and 112 other countries to ensure we all accepted genetic engineering. You will find as many as 926 cables that detail how the US State Department went out of its way to ensure the envoys lobby our scientists, academics, MPs, policy makers, NGOs, the media fraternity and the public on why we should all accept, grow and eat genetically modified foods. The details of the cables were compiled by the US-based Food and Water Watch Organization in a document called Biotech Ambassadors; How the US State Department Promotes the Seed Industry’s Global Agenda. The no-holds-barred corporate diplomacy included hosting pro-biotech conferences and public events, and took our newsmen and opinion shapes to the US to make them support genetic engineering. The lot then started telling us sugar-coated lies. We were told that by eating GM foods, we would kick famine from our land, and that the cultivation of GM crops would reduce the use of pesticides and other chemicals. We were also told that even if we could not afford fish, beef or pork, we need not worry because the science has the ability to fortify common staples like maize and beans with the proteins we get from meat. 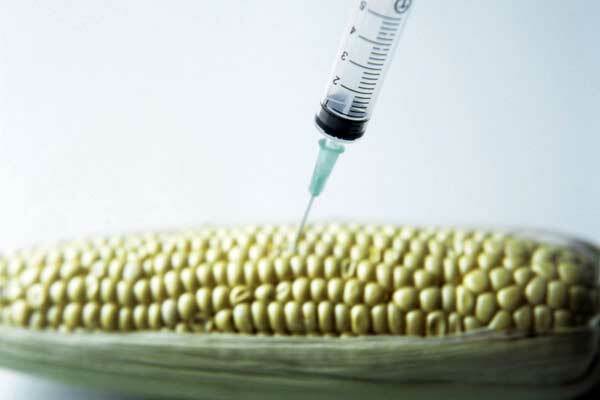 What they did not tell us is that in the US, where 80 per cent of maize grown is genetically engineered, farmers use increased amounts of ever-aggressive chemicals to keep weed and pests at bay. Further, they refused to tell us that we might never know how safe the foods are because most GMO safety studies are done by those who manufacture them and that the latter have been deploying an extremely aggressive lobby each time a silly scientist attempted to prove how unsafe such foods are. Our motherland was a big target. This is because they believed that if we started growing and eating GM foods, then everyone else in the region would follow suit. To drive their message home, they expended hundreds of millions to fund genetic engineering research in sweet potatoes, maize, cassava and so on. Although they almost ensured that all our politicians sang the GMO tune somehow, there came Mrs Beth Mugo, who convinced the Kibaki administration to ban all GMO food imports. But they did not stop there. They started working on a law that now ensures we will only grow seed from giant biotech multinationals. They knew it was easy to get away with this because –as they say – if you want to hide anything from Africans, put it in writing. If you do not believe me, please grab a copy of The Crops Act and read through it. You will find that this piece of legislation requires our grandparents – who wish to continue sharing seed amongst themselves – to register as “seed dealers”. The Act will partially be enforced by seed inspectors who can come to your farm and seize whatever seed you have. Should you resist, you will be charged and if found guilty, jailed for three years or fined Sh2 million or both. Certainly, our grandmothers cannot be hurled into prison for simply keeping part of their produce to replant the coming season.